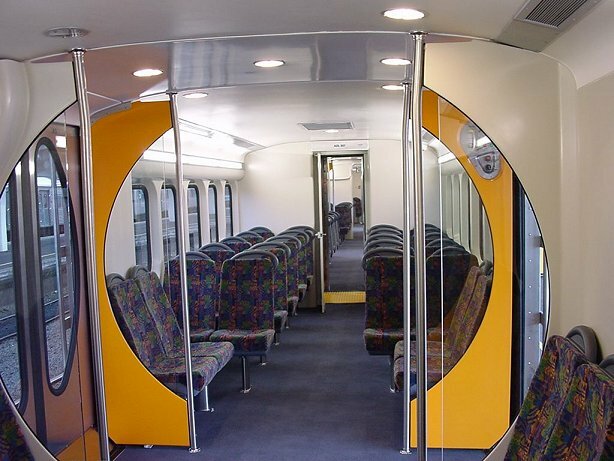 Auckland in New Zealand operates the former Transperth ADC/ADL & ADB/ADK diesel railcars, the ADC/ADL's are now undergoing refurbishment as these photos show. 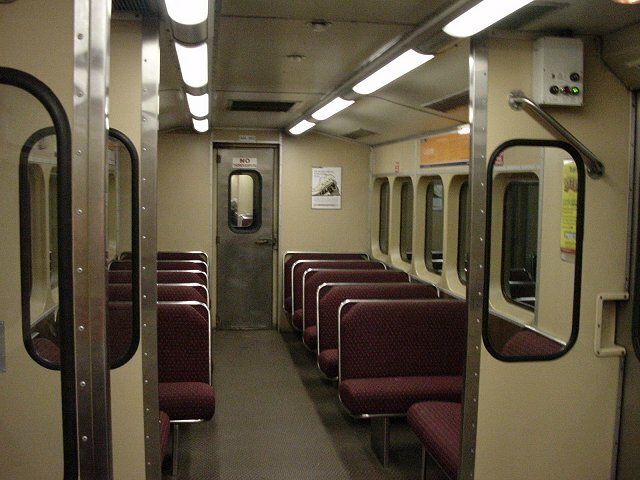 The railcars up to now had run in basically their Transperth colour scheme. Thanks to Andrew Walters & Barry Milburn for this information and pictures. Four more photos added on 19 July 2003, thanks Andrew, the views include the new Britomart station in Auckland. The old Auckland station features in the photos initially posted. The view of Britomart "from above" was taken two-thirds of the way up the western escalators (that go to Queen St). Platform 5 (rightmost) is used to store spare units starting with those that finish service in the AM peak. You can see an ADK on Platform 2. 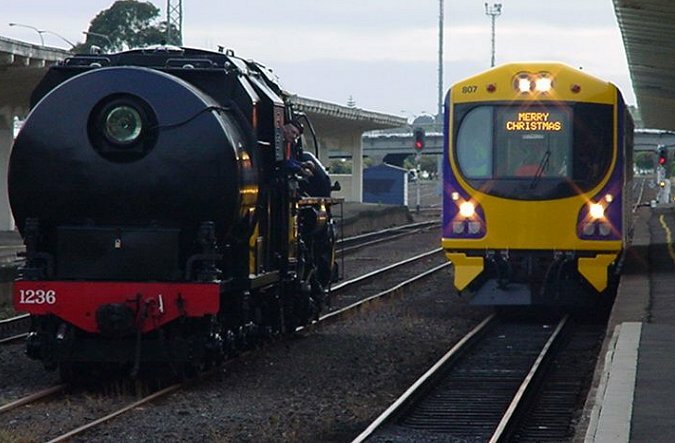 The Silver Fern (obscured) occupies Platform 1,after having done the express service from Pukekohe (satellite town south of Auckland). The loco-hauled train reversing out of Platform 4 is the Overlander departing for Wellington. It turns around using the new Quay Park triangle at the end of the tunnel. 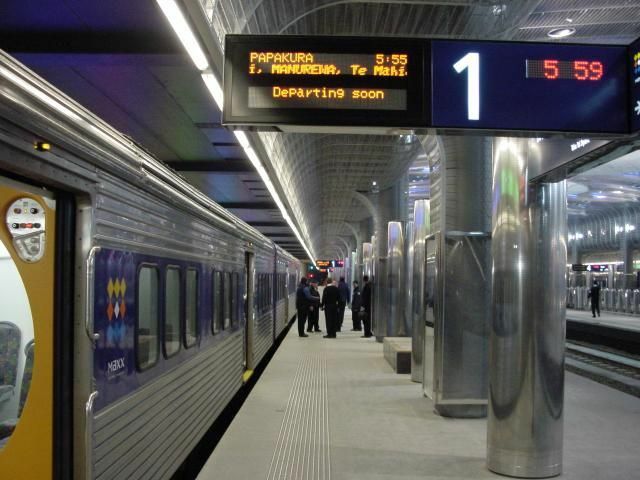 These photos were taken on 7 July 2003 the first day of operation for Britomart. Thanks Andrew for that description. 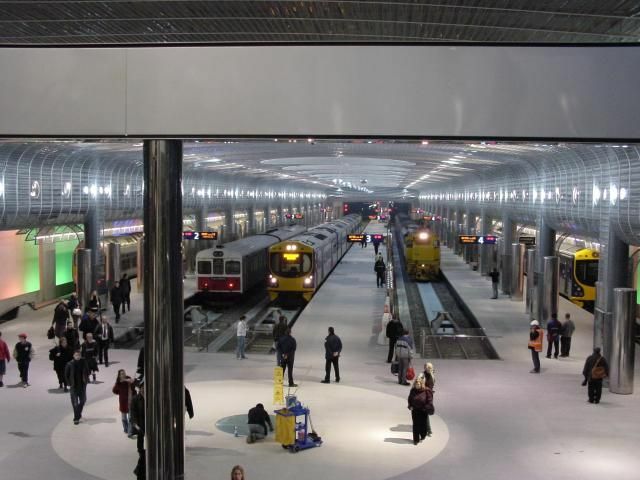 A view of platforms 2 & 3 at the New Britomart Station taken on its first day of operation on 7 July 2003. A four car ADL/ADC consist stands at platform 3. 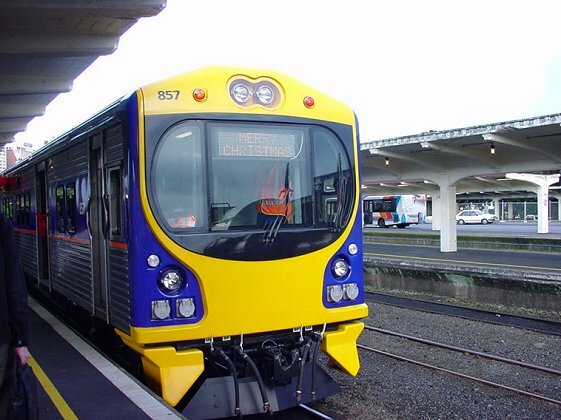 "MAXX" will be the new cover brand for Auckland passenger transport, starting with the new trains, and all new timetables. This internal photograph is ADL810. You'll notice the ceiling is different - this is because after the first two units, ADLs 806 and 807 were started, it was decided to retain the original wiring ducts,hence the lowered section in the middle of the ceiling. 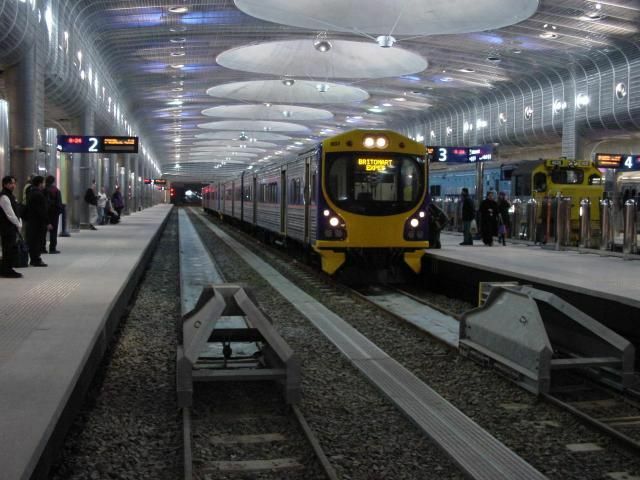 Also note the new destination Britomart on the first day of operation 7 July 2003. A view of the exterior of the ADL/ADC, compare it with the views on our Perth Metro pages. 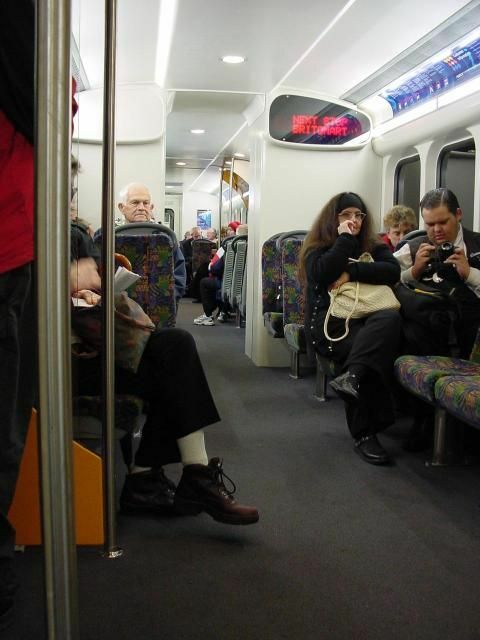 The changes to the interior are just as dramatic, the view above is that of the "Transperth type" and the view below as refurbished in Auckland.